Have you read the classic Russian book, The Master and Margarita? Don’t feel bad if you haven’t—Mikhail Bulgakov’s novel, written between 1928 and 1940 but not published in full, uncensored form until 1966 (because communism), is a pretty esoteric read, and I only know about it because my best friend told me about it years ago, when we first met, and I read it to impress her. It worked: both of us being fairly weird (if not sacrilegious) individuals, we bonded quickly over the book’s satirical, fantastical look at Christianity. Combining magic, history, humor, love, good and evil, it turns out a novel like The Master and Margarita can be a good judge of character when it comes to making new friends. 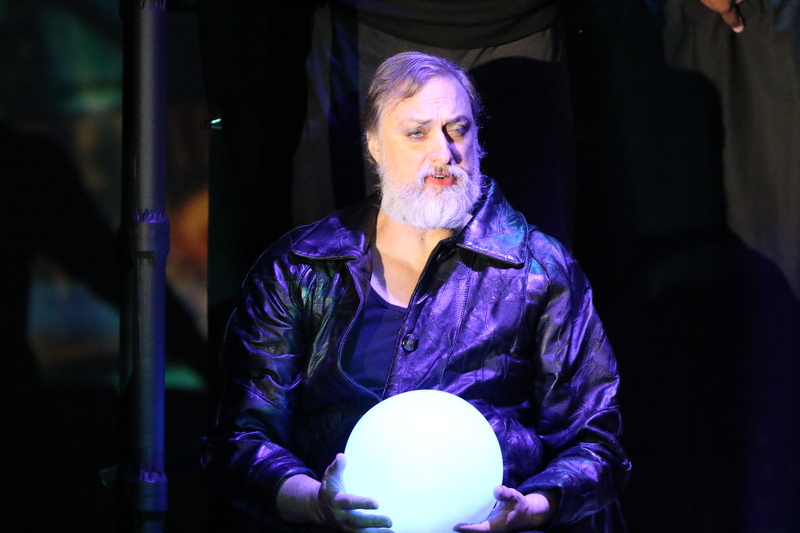 Perhaps you could say the same thing about “24 Hours in the Life of Pontius Pilate,” a play based on selected chapters from Bulgakov’s novel, now on stage at Dillard University as part of their Moscow Nights series on Russian arts and culture. Transformed into a script by Natasha O. Ramer, artistic director of Moscow Nights, “24 Hours” tells a tale of Pontius Pilate and Jesus’ meeting quite different from that in the New Testament. And at the 3:00 PM show this past Sunday—notably during the Saints playoff game—“24 Hours” brought together a motley crew indeed, of older Russian speaking couples, a few students with parents, and a couple stragglers on their own, like me. After another trippy dance sequence, we’re taken to ancient Rome, where Pontius Pilate (played by Casey Groves) and his team of guards and advisers (played by Daven-Angelo Montalbano and Joe S. Burch III, among others) navigate headaches, dissidents, and, of course, huge philosophical ancient Rome-y questions (“What is truth?” Pontius asks at one point). From there, we witness Buglakov’s take on the meeting of Pontius Pilate and Yeshua (Jesus), the shortcomings of Judas, and the happenings of various other characters who you’d probably recognize if you studied the Bible, but I don’t remember because I didn’t. Moscow Nights is offering two sets of free tickets to “24 Hours in the Life of Pontius Pilate” to the first two people who email me at Nora.Daniels@gmail.com. Your choice of date and time. Hurry! 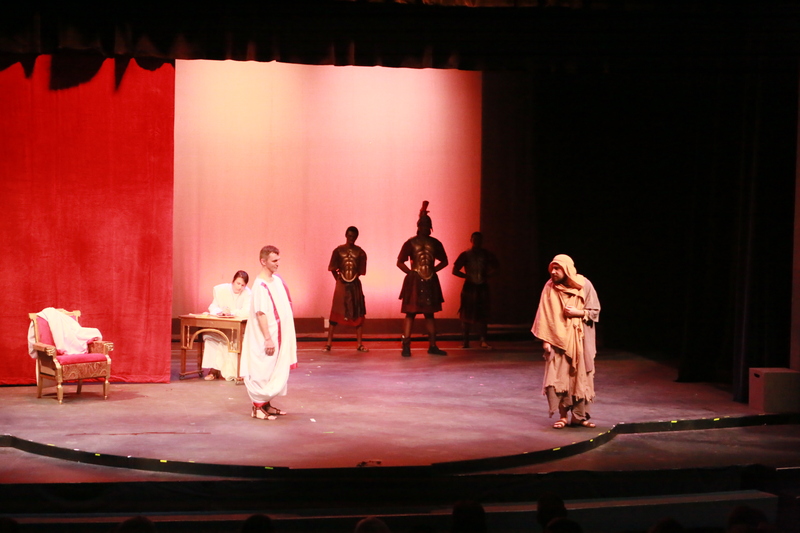 “24 Hours in the Life of Pontius Pilate” is at Dillard University’s Samuel DuBois Cook Auditorium through January 27th. Tickets are $15 for students, $20 for students, and $25 for general admission. Click here for tickets.